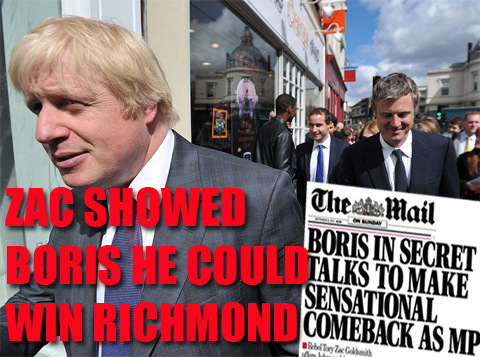 On the weekend the Mail frontpaged a meeting between Zac Goldsmith and Boris in which, they claimed, Zac outlined how if he stood down in protest against Heathrow expansion plans, Boris could stand in his place and return to parliament. Subsequently sources around Zac and Boris have variously claimed it was only “jokingly” mentioned and “fanciful”, with Boris using the Heseltinian word formulation that he had “absolutely no plans to return to the House of Commons”. So was it only jokingly mentioned by Goldsmith?